By the time toddlers today are 15 years old, they may not know what a dial-up telephone or a gramophone record is! Maybe they may not even know what are spectacles because by 2020, no-one may be using them! They may ask us what malaria is just like we ask today what small-pox is? Good or bad, these products, concepts, diseases and even traditions need to be cherished and saved for them! 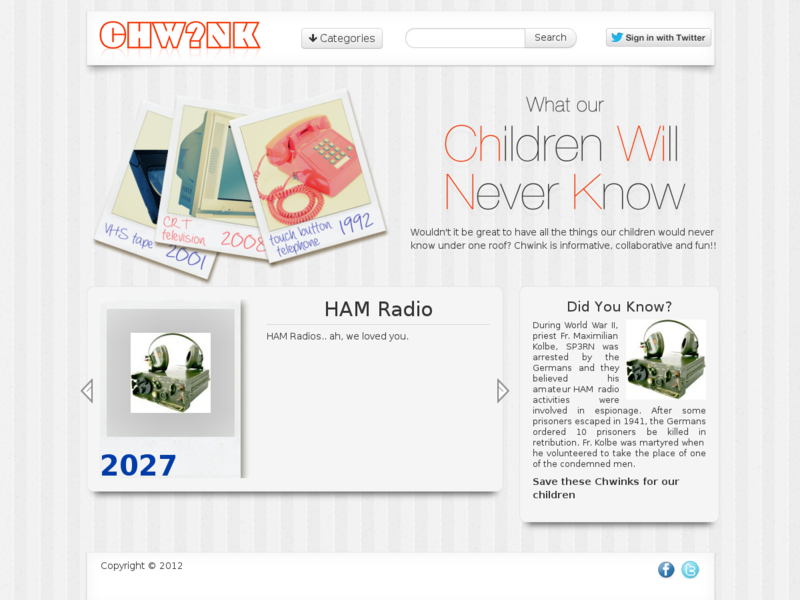 ChWiNK is a portal about stuff that "CHildren Will Never Know". Its a place where we collect images, videos and concepts of all that we feel is obsolete or will be obsolete in the future. Every piece of information uploaded has an 'obsolete timeline' associated with it. These are open for discussion, argument and correction. This promises to be fun, collaborative and informative. 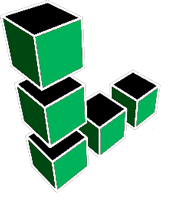 Rails 3.2.8 on Ruby 1.9.3 powered by MongoDB (via mongoid).